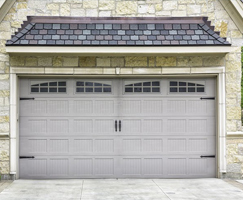 We replace garage door parts, install new overhead doors, maintain the system, and repair problems. 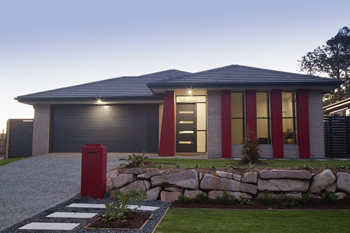 Our specialists offer full garage door services. When it comes to things on the “to do” list, garage door maintenance doesn’t normally make it very high on the priority list. At Garage Door Repair Lindenhurst, we know that as well as anyone because garage door service is what we do. We love this little village on the south shore of Long Island and that’s why we call it home. We realize there are several companies around who want your business and that’s why we want to prove to you why we deserve it not only when an emergency arises but from now on. Garage doors are not the first thing you might think about when it comes to regular maintenance checks and yet they have important moving parts that must be kept properly adjusted, maintained and lubricated to ensure the longevity of your garage door springs and other crucial parts. Broken spring repair and replacement can be difficult even for trained professionals like those we have at Garage Door Repair Lindenhurst, especially when it comes to the different types of springs that are in use including torsion springs, extension springs and galvanized garage door springs. The garage door opener is a must have accessory for most homeowners these days, and when it comes to the top brands in the industry, Garage Door Repair Lindenhurst has you covered with Genie, Craftsman, Sears, Marantec, Chamberlain, Liftmaster and others. We not only install garage door openers, we service and repair them all with some of the most well trained and reliable technicians in the area. From belt drives to chain or screw drives, our staff knows garage door repair like no other. In addition to an opener, a garage door remote from Genie Intellicode or Liftmaster Security can make life a lot easier and keep you safe and dry in bad weather. Imagine having to get out of the car to open and close a garage door during a winter storm! With a garage door remote from these brands or Multi Code or Clicker, you can have peace of mind knowing that you’ll be warm and protected in the garage before you ever have to set foot outside the car. Garage door replacement and installation is a big decision and one that you should not take lightly. When you are ready to look into your options, call the friendly staff at Garage Door Repair Lindenhurst and let us sit down and show you the possibilities that are available to you. You might choose from wood, steel or aluminum garage doors, or perhaps you will find that all you really need is a face lift on your existing door. We can replace garage door windows and mend broken panels making your older door look fresh and new again. You won’t have to worry about high pressure sales tactics and trying to get you to buy things you don’t really need. That’s not the way we operate at Garage Door Repair Lindenhurst. Broken garage doors are a pain, but Garage Door Repair Lindenhurst can take that pain away and make everything like new again. If your door is off the track or the garage door track is bent or broken, we can repair it. Broken emergency release lever? We’ve got you covered. What about new weather stripping? No worries. Garage Door Repair Lindenhurst will be there when you need us, 24 hours a day, 7 days a week. 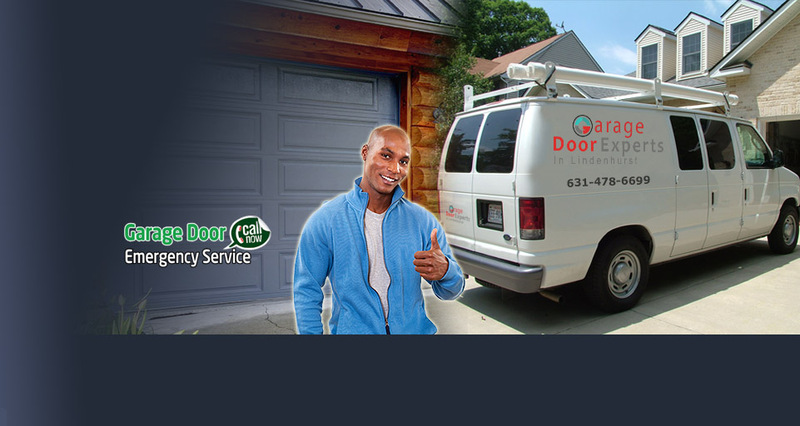 Garage door service is what we do, and we take our job as seriously as we take our commitment to Lindenhurst. We challenge you to give our customer service a try and dare you to find a company who can do the same job at a better price with customer service that even comes close to what we offer. At Garage Door Repair Lindenhurst, the customer is our first priority during each and every point of our relationship from the first call to the final job. We won’t stop until you are completely satisfied and ready to tell your friends about the amazing garage door service you got from Garage Door Repair Lindenhurst. When you’re ready to experience what customer service was meant to be, combined with expertise that is second to none, please give us a call at Garage Door Repair Lindenhurst. “Garage Door Repair Lindenhurst” aims to provide customers the convenience they deserve by offering all clients the most reliable and dependable garage door maintenance service in town.